Today a worldwide petition addressed to the UNESCO World Heritage Committee is launched with the objective to save unique world cultural and natural heritage on the Tigris River inMesopotamia. Particularly, the unique antique town Hasankeyf, with a past of at least 10,000 year of continuous settlement, in the mainly Kurdish populated Southeast of Turkey and theMesopotamian Marshlands in South of Iraq, the largest wetlands of the Middle East cultivated by Millions of “Marsh Arabs“, are threatened by the Ilisu Dam. It is one of the most controversial damsin the world. Besides the severe cultural and ecological impacts, this major dam also threatens the right to water, food and self-determined socio-economic development of at least several hundred thousand peopleon both sites of the border. Additionally, as it can be seen on the Euphrates River, large upstream dams in Turkey have negative impacts on the political stability. This petition is initiated by four civil society organizations from different parts of Mesopotamia. For many years they have been struggling for a social and ecological development based on thepreservation of the cultural and natural heritage in this region. Upper and lower Mesopotamia has been the starting point of the transition to sedentary agriculture and of the first civilizations ofhumanity. This region provides the exceptional chance to gain further knowledge of humanity’s history. This important heritage should not be destroyed for the Ilisu Project and other dams with alifespan of 50 to 70 years. Such dams are an expression of ignorance, non-participative society and an outdated development model. The Turkish government is not interested in any dialogue with the affected local people and their representatives and has not had any serious discussion with the downstream states of Iraq and Syria.The government of Iraq does not show the necessary effort to act against the destructive dams from the upstream states Turkey and Iran. One result is that today neither Hasankeyf nor theMesopotamian Marshlands are on the list of UNESCO World Heritage Sites. The Turkish government has never nominated Hasankeyf for inclusion on the World Heritage List ignoring all appealsof people and organizations asking for this step. 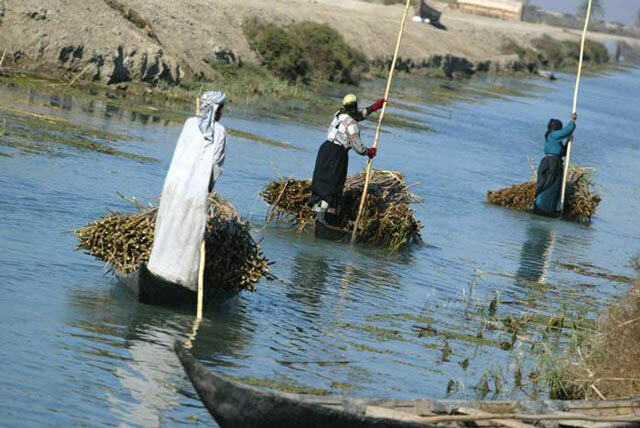 The Marshlands of Mesopotamia are on the Tentative List submitted by Iraq to the World Heritage Committee in 2003, but since then no further stepshave been taken. In order to conserve the tremendous cultural and natural heritage of Mesopotamia, the UNESCO must make an effort by putting pressure on the governments of Turkey not to buildthe Ilisu Dam and on Turkey and Iraq to nominate Hasankeyf and the Mesopotamian Marshlands for their list of World Heritage Sites. In this framework the initiators of this petition call everybody in the region and in the world to join this petition in order to remind the UNESCO of its responsibility to use all possible means todevelop pressure.